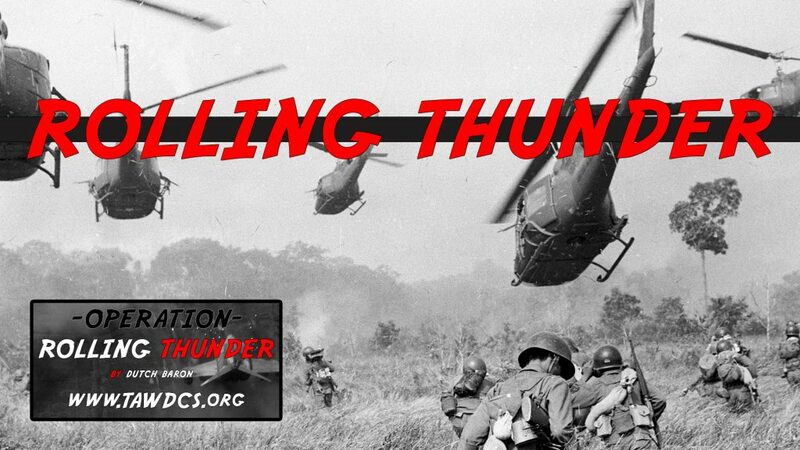 After the NORTH VIETNAMESE FORCES asked their ally RUSSIA to supply them with advanced WAR systems, the US led coalition forces are attacking the North Vietnamese capital HANOI (Kutaisi) and all its AFB’s and heavy DEFENSE systems. Now that the NVA has advanced Russian SAM systems, BLUE forces want to prevent the massive expansion of those systems, before it’s too late. But another important region at this point is DA NANG AFB (Sochi), which was recently owned by US BLUE forces, but it has nearly been overrun by NVA troops. 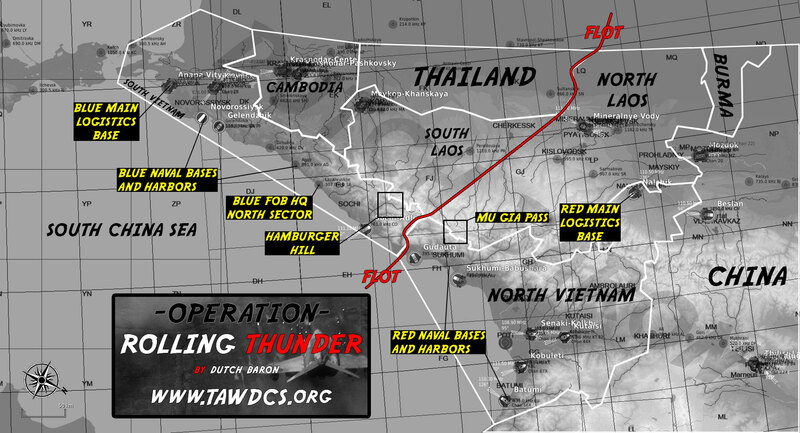 Well before the NVA reached DA NANG AFB, BLUE forces had withdrawn most material. But the US wants it back, and BLUE forces are pressing for DA NANG. All air bases (RED/BLUE/NEUTRAL) have AMMO BUILDINGS. If you destroy that building, you will completely deny FUEL and AMMO on that specific air base. – The enemy BLUE forces, have at least 3 SAM SITES near their active airbases. – All of THAILAND and some parts of CAMBODIA and LAOS are considered hostile. – DA NANG AFB (SOCHI) has to be captured! Enemy forces are still near the air base VERY close to the West and North, after they have withdrawn when we attacked the area. 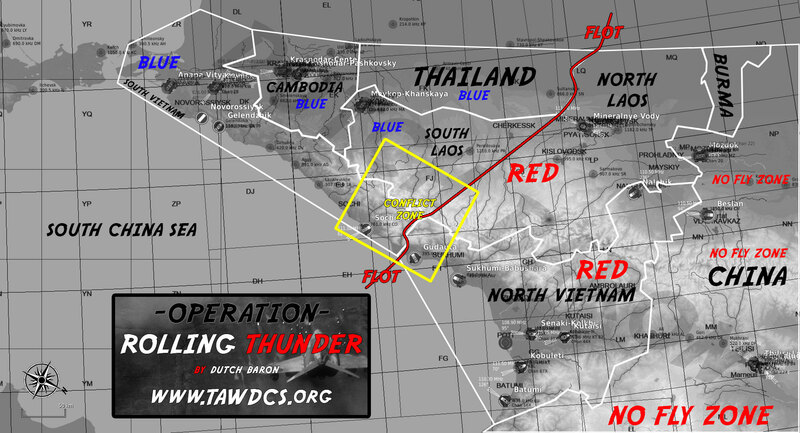 – DONG HOI AFB (GUDAUTA) is a NVA AFB, but since the fighting broke out in the region, we have withdrawn our material. So if BLUE forces capture DA NANG, they will most likely continue towards DONG HOI AFB and capture it. PREVENT THIS AT ALL COSTS!! – DEFEND OUR UNDERGROUND BUNKERS at ‘HILL 937’ (HAMBURGER HILL), in case the enemy manages to find the entrance (just 4KM North of FJ02). PREVENT THE ENEMY FROM FINDING IT!! These are SU25T’s capable of using CTLD to transport units to other airbases, PLEASE DO NOT TAKE WEAPONS ON THESE FLIGHTS! ONLY NALCHIK has CTLD for them at the SPAWN location on the main APRON near the URAL-4320 TRUCK. FARPS are LOGISTICS points where you can transport units/material. LOGISTICS POINTS are automatically shown on in-game F10 MAP, with markers, click the marker for more info. – The enemy RED forces, have at least 3 SAM SITES near their active airbases. Take out the SAM’s! 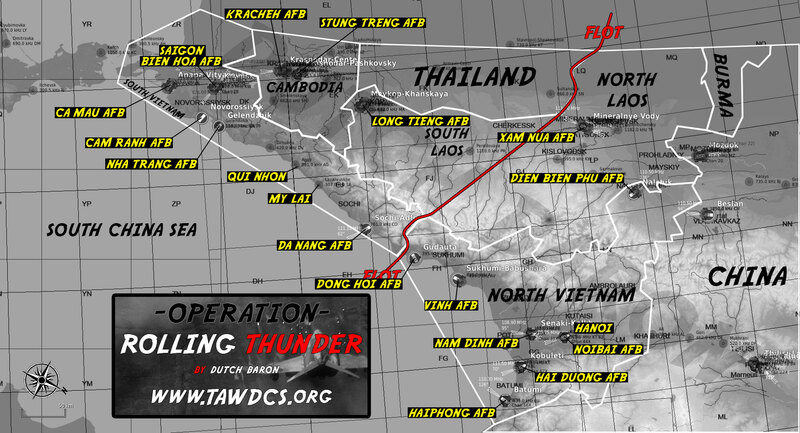 – It seems like the enemy forces are using LAOS and parts of CAMBODIA and THAILAND, to supply their forces in SOUTH VIETNAM. It has been dubbed the ‘HO CHI MINH TRAIL’. We do not know exactly where it is, but we detected movement in the dense forests along the VIETNAM/LOAS border. 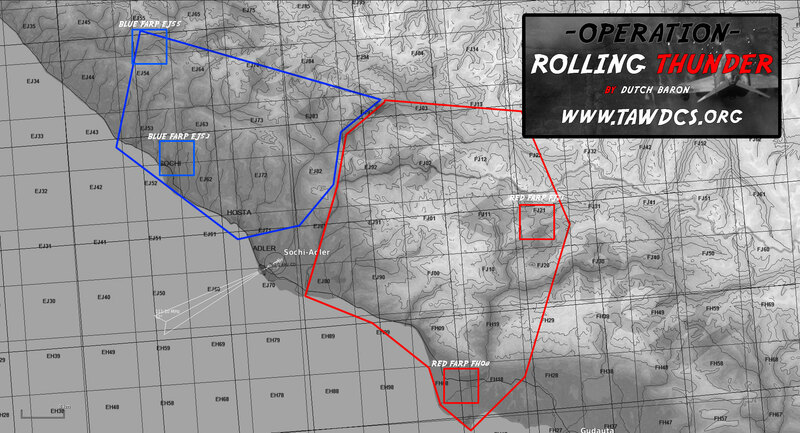 Find the supply routes and prevent the enemy from reinforcing their troops. – THAILAND is an ally and its airspace can be used, but some parts of THAILAND,CAMBODIA and LAOS are considered hostile areas where communists and guerilla forces are active. – DA NANG AFB (SOCHI) has to be recaptured! Enemy forces have not yet captured the air base, but they are VERY close to the East. – DONG HOI AFB (GUDAUTA) is an NVA AFB, but since the fighting broke out in the region, NVA forces have withdrawn their material. So after capturing DA NANG, continue towards DONG HOI AFB and capture it. – FIND AND DESTROY ‘HILL 937’ (HAMBURGER HILL), which is an eleborate enemy undergound bunker system, just NORTH of FJ02, it is of utmost importance to find and destroy everything the enemy throws at us there. Around 4 KM North of FJ02 (in a 400m radius around that location), you should get some opposition there, then lure out all the NVA troops from the underground. WILD WEASEL around that position, low and slow, watch for enemy fire from a very much obscured bunker, then ANNIHILATE THAT POSITION! – FIND the MU GIA PASS around FJ71-FJ82, the enemy uses this pass to supply the HO CHI MINH TRAIL. Locate and Destroy it completely! ONLY ANAPA has CTLD for them at the SPAWN location on APRON EAST near the M818 TRUCK.